Welcome Parents! On this page, you will find valuable resources that will help you in supporting your child learn English. Don’t forget to visit the Students’ Login Page for a detailed list of teacher recommended educational websites to help your child in Language Arts, Math, Social Studies and Science. This section offers useful resources available on the Internet for parents of students who are English language learners. Please note that the resources listed in this section are for reference purposes only and do not reflect endorsement by Almadina Language Charter Academy. Watchkin.com – A You Tube alternative that eliminates the adds and pop ups. 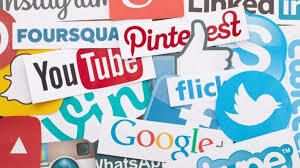 Social Networking Safety – Paul Davis’ website offers information for families on how to stay safe online. Alberta Education My Child’s Learning We recognize that parents play an important role in shaping the way their children view learning. As a parent, you understand more than anyone else how your child learns and processes information. This resource will provide you with a better understanding of Alberta’s curriculum and related information for your child. This tool can help you discover what your child is learning, how they’re assessed and what resources are available to help them be successful from Kindergarten to Grade 12 (Alberta Education). Families Matter Mission: Families Matter provides parenting education resulting in healthy child development and confident and competent parents who are connected within their communities. 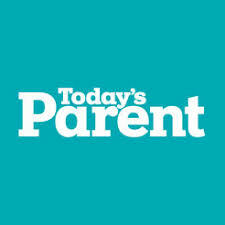 Parenting Power It’s one thing to have parenting tools that help you tackle situations in the moment. It’s another thing to have strategies that guide you through the ‘real life’ hurdles, and help you to prepare your kids by providing them with essential skills for their growth and development. 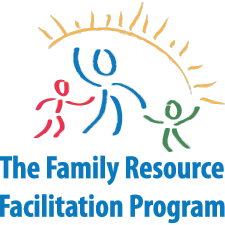 The Family Resource Facilitation Program A Parent Link Centre provides parents and their children with supports to ensure that the children come to school ready to learn and ensure that parents have the supports needed to help their children develop and fulfill their potential. Parents will be able to access information about community services, obtain referrals, and meet other parents, children, and families, while taking part in quality early learning activities at a Parent Link Centre. Parenting Through the School Years How can I help my child do better in school? Teachers and school administrators have been hearing this question from parents since schooling began. A Guide for Parents of K–12 Students. Calgary Public Library Did you know there are 17 libraries in Calgary that has many programs for children? Children’s Literature – Resources for Parents David K. Brown works as a Library for the Faculty of Education at the University of Calgary. Visit his site for help with choosing a book for your child, helping your child learn to read, and many more! Dr. Hetty Roessingh – University of Calgary 10 ways to help your English language learner be successful! Today’s Parent Pregnancy, baby, toddler advice for Canadian parents. 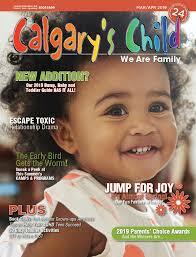 Calgary’s Child Magazine Calgary’s Child Magazine is the trusted source for news and information about children in and around Calgary. Parent & Afterschool Resources Help from the experts – how to help your child with reading and writing outside of school. Adolescent Literacy Resources for parents of kids in grades 4-12 whose children have a hard time reading and writing. Reading Rockets One-page Parent Tips offer easy ways for parents to help kids become successful readers. This guide is translated in different languages, such as Arabic and Traditional Chinese. Common Sense Media Common Sense Media improves the lives of kids and families by providing independent reviews, age ratings, & other information about all types of media. Media Smarts MediaSmarts is a Canadian non-profit organization based in Ottawa, Ontario that focuses on media literacy programs.